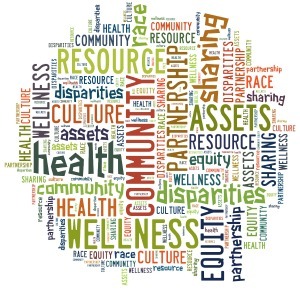 In an effort to encourage other institutions and individuals to host their own versions of the Health Equity Leadership Institute (HELI), we are sharing sample tools that can advise and guide implementation. HELI is a joint effort put on by faculty & staff from the UW-Madison Collaborative Center for Healthy Equity and the Maryland Center for Health Equity at College Park. If you find these materials useful, please let us know! We want to hear about outcomes and evaluation. If you would like to consult with a member of the HELI faculty or staff, please contact us at cche@hslc.wisc.edu and we will connect you directly to the person who can be most helpful. The HELI application is typically released in late January with a deadline in mid-February. We use a Qualtrics survey form and the content of the application is available below in a Word document. HELI Scholars are selected by a panel of HELI Faculty members from University of Wisconsin-Madison and University of Maryland, College Park. Applicants are evaluated on their background, qualifications, written personal statement, written statement from their chair/dean, stage in academia, etc. Applicants who are too junior or aren’t quite ready have been rejected, but encouraged to reapply the following year when the HELI offerings may be more useful to their career point. Our target audience is described here. The HELI Faculty and staff that plan HELI do so very intentionally. Scholars receive pre-event surveys for general logistics, but most importantly for input on the actual program content. The pre-event survey includes questions on career satisfaction, mentoring, burnout, expectations for HELI, etc. Additionally, we offer our presenters the chance to include questions for the Scholars in the pre-event survey. This is an opportunity to gain more information about the cohort that will allow presenters to tailor their presentation to their specific HELI audience. We use a Qualtrics survey form and the content of the pre-event survey is available below. Program schedules from the 2012-2018 HELI cohorts are available here on the HELI website. You will notice that each year follows generally the same format with many of the same curriculum components. Yearly differences reflect improvements and modifications based on experience and feedback. Sessions are led by expert HELI faculty from Wisconsin and Maryland, NIH experts, local UW-Madison researchers, local Wisconsin community partners, and returning HELI alumni from previous cohorts. In 2016 we also utilized the Guidebook application to host a free mobile version of all of our program materials. It’s available on iOS, Android, and Web platforms and can be accessed here: https://guidebook.com/g/heli2016/. The past 6 years of Program Schedules are included here in PDF form. While we do operate under the mantra ‘don’t fix what isn’t broken’ and stick to the tried and true, we are continually improving HELI based on Scholar and Presenter feedback. During the week of HELI, Scholars receive electronic Qualtrics surveys at the end of each programming day to let us know what did or didn’t work. This feedback is taken very seriously and is the biggest factor in keeping or removing sessions from future HELIs. We ask 2 general questions about every session at HELI and ask presenters to create 2-4 Learning Objectives for their session which we also include in the survey. Scholars are then given the chance to share any additional feedback via an open text entry box. Feedback about sessions are collated and shared back with the presenters after HELI for their own quality improvement purposes. The daily surveys vary in length based upon how much programming there is on a given day. The final survey is more lengthy as it includes additional questions on the overall HELI week and refers back to some of the baseline questions from the pre-event survey. Every year we hear from Scholars that they want to stay together in some form once they head back to their home institutions. To do so, CCHE maintains the HELI blog website, monitors a private Facebook group, and shares emails. HELI alumni contact us to share news of publications, awards, promotions, etc. for us to distribute widely to the full network of HELI alumni and faculty members. After making connections with each other through HELI, alumni have gone on to do great work together. We’ve seen HELI alumni collaborate on publications, grant submissions, local writing groups, virtual writing groups, and more. HELI alumni have pulled together their own ‘mini HELI’ workshops at their home institutions. From 2010-2018, our network has grown to 170 nationwide HELI alumni. Our alumni are our best ambassadors and we get the majority of our new applicants via referrals from alumni. There is a ‘special sauce’ to what we have established with HELI and we want everyone to be able to try it. University of Maryland | Building Trust – Between Minorities and Researchers. http://buildingtrustumd.org/. Accessed October 14, 2016. Butler III J, Fryer CS, Ward E, Westaby K, Adams A, Esmond S, Garza MA, Hogle JA, Scholl L, Quinn SC, Thomas SB, Sorkness C. The Health Equity Leadership Institute (HELI): Developing Workforce Capacity for Health Disparities Research. Journal of Clinical and Translational Science, 1-7. doi:10.1017/cts.2017.6.